Kudos recognizes Dartmouth faculty, staff, and students who have received awards or other honors. Associate Professor of Government Deborah Brooks is the recipient of the American Political Science Association's 2014 Victoria Schuck Award for her book He Runs, She Runs: Why Gender Stereotypes Do Not Harm Women Candidates. The award is given annually for the best book published on women and politics. Brooks is also the recipient of the 2014 David O. Sears Book Award for He Runs, She Runs, awarded by the International Society of Political Psychology for the best book published in the field of the political psychology of mass politics. Dartmouth Library Preservation Services has been awarded a Kress Conservation Fellowship. The fellowship is designed to provide postgraduate opportunities for emerging conservators. 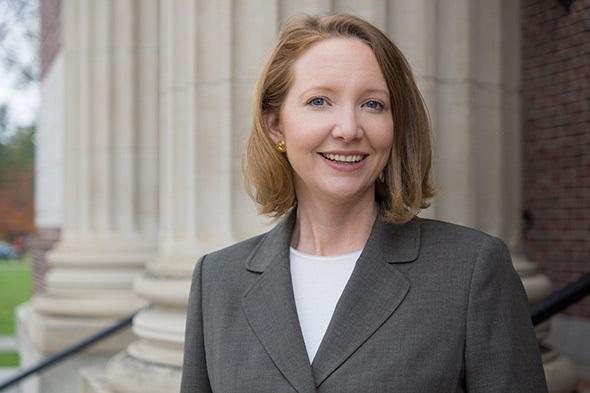 Dartmouth’s fellow, Tessa Gadomski, will work with the Rauner Special Collection Library’s Iconography collection, which includes more than 1,300 cataloged items, including printed images, glass slides, original art on paper and other media, photographs, albums, and digital files. Moroccan Noir: Police, Crime and Politics in Popular Culture by Jonathan Smolin, an associate professor of Asian and Middle Eastern languages and literatures was selected as the winner of the 2014 L. Carl Brown AIMS Book Prize. The annual prize is awarded by the American Institute for Maghrib Studies to the outstanding book in the area of North African studies. Amanda Socha, a graduate student in the Department of Biological Sciences, is the recipient of a Genetics Society of America (GSA) DeLill Nasser Award for Professional Development in Genetics. The award recognizes excellence in genetics research and provides a travel grant for recipients to use to attend a meeting, conference, or laboratory course. "The goal of my research is to increase crop yields and food security by understanding how essential nutrients such as manganese are absorbed by plants," Socha told the GSA. She will use the grant to attend the 25th International Conference on Arabidopsis Research. 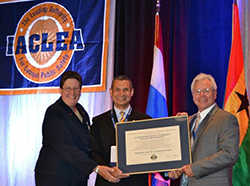 The Department of Safety and Securitywas recognized by the International Association of Campus Law Enforcement Administrators (IACLEA) at its annual conference in June for earning IACLEA Accreditation.